Let me tell you, I am hooked. They come in so many yummy scents you really do want to eat them. 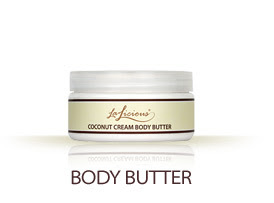 And then, to top it off, there is body butter! 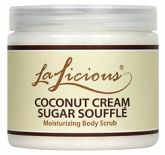 One winner will receive a body scrub and a body butter in the coconut cream scent~a $60 value! Visit Haley's cottage and let me know what catches your eye. Come back here and leave me a comment. For another entry, you can blog, tweet, or post to facebook about this giveaway. Leave me a comment letting me know you did so. Remember, you don't have to have a blog to enter, just make sure and supply your email address so I can contact you if you win! The chalk paint would be awesome!! sounds wonderful! This morning, I'm digging the sound of coffee bean! Thanks for the giveaway! Lots of great stuff!! I love the picture frames and decorative pillows! Love the Bella Notte duvet covers at Haley's Cottage! Great giveaway! I'm loving the Happy Birthday candle. What a pretty design and a great gift idea! I love all the white ruffled bedding. Thanks for the giveaway! I have always wanted to go to this store!! Thanks for featuring it today! I looked and I love the Burlap Flower pillow. So cute. I really like the fleur di lis candle pins, and of course I covet some ASCP! I like all her products. The goodnight pillow cases are simply darling. I am in love with the Hemptress Ruffle Purse in Herringbone!!! LOVE!!!! I love the Family sign! I adore the 'Good Night' pillow cases, how cute! I really like the "Good Night" and "Happily Ever After" pillow cases!!! Super cute!!! I absolutely adore the "Keep Calm & Carry On" pillow case! Such a beautiful reminder! Absolutely love Haley's website too! 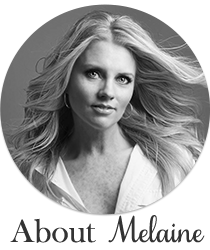 She has such great products! Love the burlap flower pillow, it would look perfect in my living room! I'm lucky enough to work 2 blocks from Haley's Cottage so it's fun to go there at lunch and see what fun stuff she has! I might try the chalk paint on an old buffet I own. My favorites are the Goodnight pillowcases!!! Thank you! The articles is truly excellent:, I think that is among the most vital info for me, You are wonderful! Thank you! What a great store..I see why it is one of your favorites! I LOVE the french reproduction bed...but back to the real world..love, love the burlap pillow and of course the body butter and scrub sound wonderful..coffee bean would probably be a great wake up. I LOVE to visit Haley's cottage! It's a bit of a jaunt for me, since I live in Tacoma, but well worth the trip! I am thrilled to see that they are now a stock list for Annie Sloan chalk paint. I see that thet carry a beautiful publication of A.M.L. 's Gifts From The Sea. I will be ordering a couple shortly as they are nice to have on hand for girlfriends that going through a difficult time. I would love to exfoliate and butter up! Thank you! I hope that there will be a French Flea Market this year. I missed last year's due to the birth of my first "grand"! I like the Tangier earrings. Thanks for the giveaway! Loved the hemptress purse and the tufted headbord. Thank you for the giveaway. I love the Annie Sloan paint and brushes.....but she has some wonderful, fun items to dream about and to pamper with! I want the "you are my sunshine" saying. My son loves to sing that song. I've heard so much about the chalk paint. I'd love to try it! I'd love to try the peony soap.